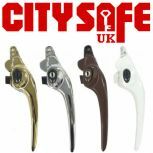 Here at CitySafe UK we have available a selection of inexpensive and easy to fit window security products, which will not only help secure your customer’s homes but keep their family safe too. The Royal Society for the Prevention of Accidents provides research that states that over 4,000 children under the age of 15 are injured yearly from unsecured windows which they fall out of, with 2,000 of these accidents involving children under 5 years old! People often do all they can to baby proof their homes, yet windows are often a forgotten risk. 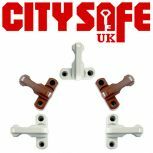 Our range of window security products includes Window Restrictors, Sash Jammers and Window Handles. Each product is made from top quality materials and available in a variety of colours to suit your customers’ needs whatever they may be. 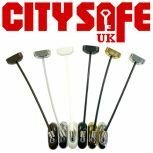 ©2017 City Safe UK - All rights reserved.